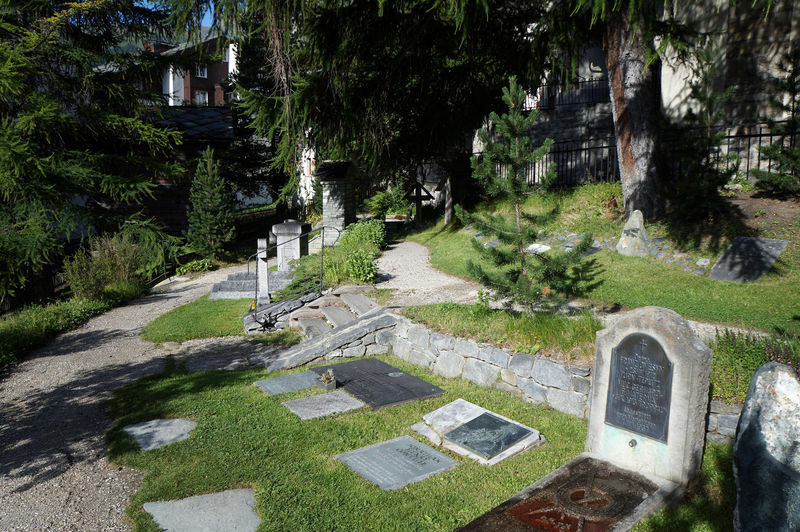 The mountaineers’ cemetery is a moving reminder of the accidents that have occurred in the mountains around Zermatt. The tranquil site is a memorial to all climbers who have lost their lives here. 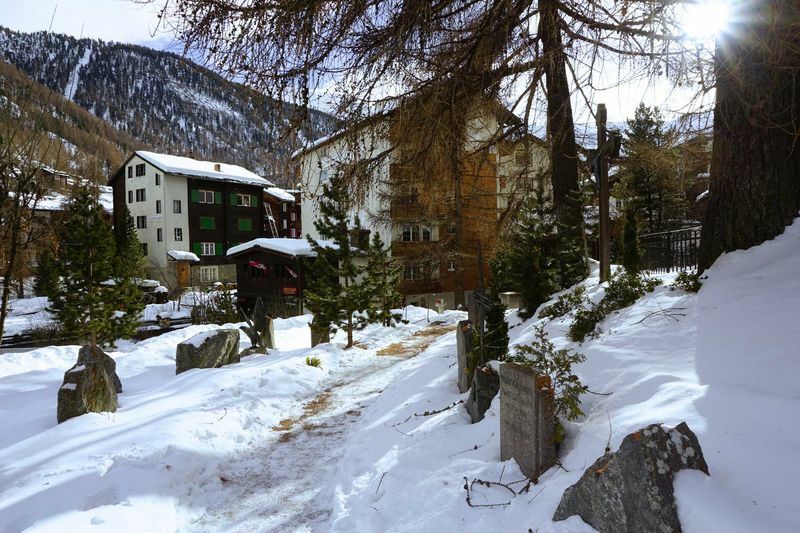 The inscriptions reveal that women and men from all over the world have died on the Matterhorn, Täschhorn, Weisshorn, Liskamm, Obergabelhorn and on the Monte Rosa massif. 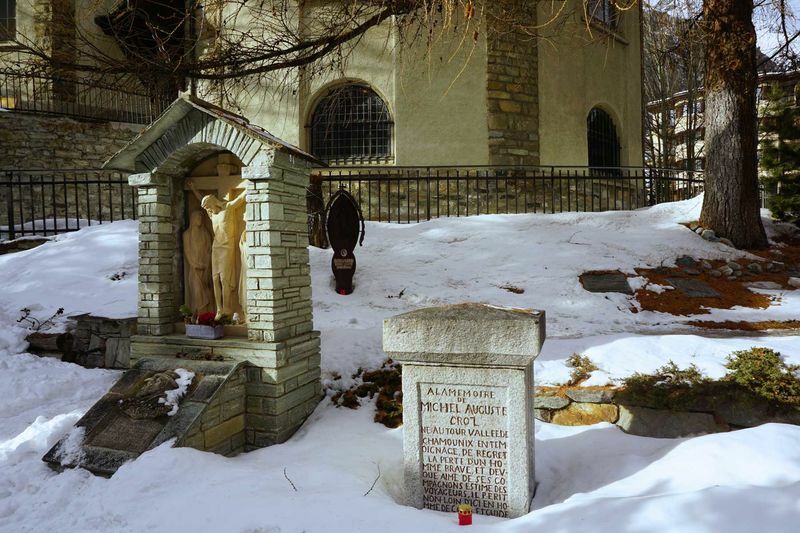 At the mountaineers’ cemetery, visitors can see the graves of about 50 climbers who perished in the surrounding mountains. Most date from the 19th century, some from the early-20th century. One gravestone is an exception. It commemorates two famous climbers who died naturally rather than on the mountain: Peter and Peter Taugwalder, father and son. These were the mountain guides of the first person to climb the Matterhorn, Edward Whymper. Only these three out of the original party of seven returned to Zermatt alive. The ascent, on 14 July 1865, was a success: on the way back down, however, four of the climbers fell to their deaths, including Michel-Auguste Croz, a mountain guide from Chamonix. His gravestone stands beside that of the two Taugwalders. 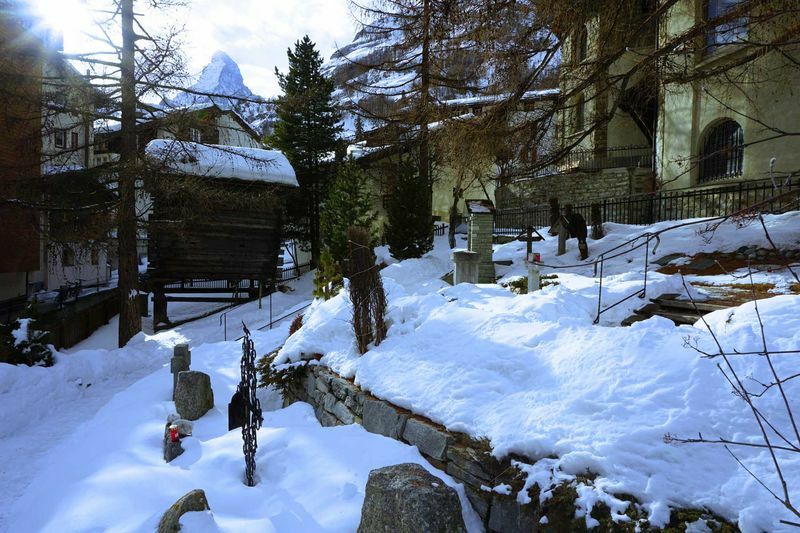 Two of the English climbers who died on the descent were laid to rest at the English Church in Zermatt: D. Robert Hadow is buried outside, while the Reverend Charles Hudson lies by the church altar. The third English climber who lost his life on the expedition, Lord Francis Douglas, has no grave as his body was never found. Another tombstone in the mountaineers’ cemetery belongs to probably the most famous female mountaineer of the 19th and 20th centuries: Eleonore Noll-Hasenclever (1880–1925). She lost her life as she descended the Bishorn on 18 August 1925, carried away by an avalanche. Some of the memorial stones bear candles and flowers left by relatives and fellow climbers. In some cases, the stones reveal the causes of accidents: an avalanche, a rockfall, a crevasse. One memorial to a young climber carries a simple and striking statement: “I chose to climb”. The mountaineer’s own red ice axe adorns the stone, along with the US flag. “Scrambles Among the Alps”, by Edward Whymper. Published by Whyte Star, 2006. Order from ZAP bookshop, Zermatt. “Der Wahrheit näher: die Katastrophe am Matterhorn 1865 und andere Erstbesteigungen”, by Martin Jäggi. Edited by Hannes Taugwalder, published by Glendyn, 1990. In German. Order from ZAP bookshop, Zermatt.